There are a number of new cancer drugs currently undergoing preliminary testing, which are in no doubt raising the hopes of many of those unfortunate enough be battling cancer at this time, as well as the hopes of their families & loved ones. But are these high expectations of life extension, or even of being completely cured truly justified by the claims of the medical industry on the capabilities of these new drugs? For many of the people in the UK who saw the Tonight program on ITV, "Can We Beat Cancer" who find themselves in similar circumstances to those featured on the program will likely be hot on the case of the drugs mentioned. 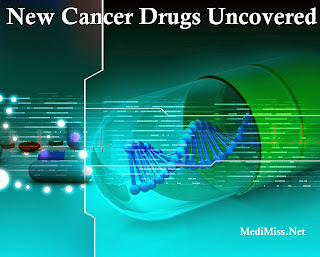 For me, on the other hand, having uncovered some truly horrific facts about chemotherapy which shed a very different light on orthodox treatments, there were immediate doubts in mind regarding this new wave of cancer drugs. Firstly we are all so captivated by the term 'Drugs' when associated with serious diseases such as cancer, as if all the answers & even miracles are encompassed within this term. When used in conjunction with statements such as 'Medical Breakthrough' we become even more drawn in to the possibilities which may lie with such drugs, especially today with cancer being such a profound killer. Well, this is exactly the reaction intended by those who continue to convince the vast majority of the population that drugs are in fact the best, if not the only hope they have should they be diagnosed with cancer at any time in their lives. Iressa may currently be used to treat people with locally advanced non-small cell lung cancer (NSCLC) or NSCLC that has spread to other areas in the body. Iressa is what is known as an EGFR Inhibitor; this means it only works where mutations of the epidermal growth factor receptor on the surface of cancer cells is detected. There are distinct characteristics to the group of patients likely to have the level of EGFR needed to respond to such treatment; women, people who have never smoked, people with adenocarcinoma, and those of Asian ethnicity. Iressa attaches itself to the epidermal growth factor receptor (EGFR) on the surface of the cancer cell, preventing the attachment of epidermal growth factor (EGF) onto the receptor. EGF is a form of protein found in the body & once attached to a receptor, an enzyme called tyrosine kinase (TK) is formed. This enzyme instigates the cancer cell's ability to grow & divide, causing the cancer to spread, through a chemical process triggered off within the cancer cell it's self. Iressa has shown good results in many cancer patients initially, however this tends to be followed by a relapse. This is most likely down to the ability of cancer cells to become resistant to drugs they are treated with. I have read medical reports of patients achieving full remission through the usage of Iressa, only for the cancer to return & for this same line of treatment to be found completely ineffective the second time around. As Iressa is mostly only used following the failed attempts of treating with chemotherapy, there is little hope of any forms of treatment being successful the second time around. Nausea & Vomiting - Usually treated with anti-sickness medication. Diarrhea - Usually controlled with further medication. Skin rashes - Acne-like rashes, dry, itchy, sore & irritated skin. Vision Problems - Pain, redness of the eyes, blurred vision, itching & soreness of the eyes, conjunctivitis. Fatigue - Extreme fatigue & lack of energy. Loss of Appetite - Possibly resulting in weight loss & may be linked to feelings of extreme weakness. Hair & Nails - Loss of hair & loose, brittle nails. Increased Blood Pressure - Symptoms are headaches, dizziness, blurred vision. Lung Disease - Affecting around 1 in 100, this is a rare side effect, involving inflammation of the lungs. Symptoms include difficulty breathing, coughing & fever. This is very serious & can even result in death. We are not looking at a potential cure here but merely at an extension of life. The ability of cancer cells to become resistant & to return with complete immunity to this drug means it does nothing more than 'bide us more time'. The side effects are not pleasant, to say the least & once the cancer does return, as scientific testing has shown it almost inevitably does, what options are there left? In my opinion; a great let-down for something instigating such high hopes among many sick people. Early results in the use of PARP inhibitors for treating breast cancer are said to be promising. PARP stands for poly(adenosine-disposphate-ribose) polymerase, an enzyme which repairs damage done to our DNA. These drugs are said to work by "obstructing the ability of cells damaged by chemotherapy or through genetic mutations to repair themselves, causing tumour cells to die as a result" (WSJ). PARP is found in all cells, including cancer cells & helps damaged cells to repair themselves. According to some doctors, because cancer cells have BRCA gene faults, if they can stop the PARP-1 working then these cells will be unable to repair themselves & will die. As healthy cells do not contain BRCA gene faults they should still be able to repair themselves despite the fact that PARP-1 is blocked in all cells of the body, not just cancer cells. This treatment is still in the early trial stages, but could be a successful treatment for cancers with an abnormal BRCA1 or BRCA2 gene. This drug, when used in conjunction with chemotherapy may reduce the resistance of cancer cells to the chemotherapy. This treatment is only currently available to those with an abnormal BRCA1 or BRCA2 gene being treated for advanced-stage breast, ovarian, or prostate cancer through the participation in clinical trials. As this is such a new treatment little is yet known about side effects, however there are a few that doctors do already know about; Drop in Blood Cell Count - Causing tiredness, shortness of breath, an increased risk of infection or bleeding problems. Although it is stated that inhibiting PARP-1 should not affect the functioning of healthy cells this quite simply cannot be the case, as is shown in the fact that this can cause a drop in blood cell count. Surely this is evidence of damage to blood cells, which are unable to repair themselves? I find it very hard to believe that PARP would be found in all healthy cells if it was not in fact needed by them as part of their healthy functioning. We should be increasing the strength of our healthy cells & immune system, not obstructing their ability to repair themselves, common sense tells us we are just weakening our entire body in the hope of killing the cancer cells before the damage to our healthy cells kills us first. Cells are the making of our entire form, our bones, our blood, our skin as well as our internal organs, by denying them of something which they to maintain themselves we just leave ourselves wide open to infection & further illness. Another drug used against breast cancer & also stomach cancer; apparently herceptin can stop the growth of breast cancer & in some cases can even reduce the size of the tumour. Herceptin is only used either in conjunction with chemotherapy or by those who have already completed two courses of chemotherapy. Herceptin is part of a group of cancer drugs called monoclonal antibodies. Monoclonal antibodies recognise & attach themselves to certain proteins which may be found on the surface of cancer cells & are said to trigger the immune system to attack these cells. While assisting in the elimination of certain types of cancer cells, these drugs are said to cause 'little' harm to healthy cells. In around 20-30% of breast cancer & apparently in 6 - 40% of stomach cancer cases there are excessive amounts of a protein called HER2 found on the cancer cells, which encourages the growth of these cells. Such cases of these types of cancer are referred to as being HER2-positive, where breast cancer patients are concerned this can be very aggressive & fast growing. Herceptin attaches itself to the HER2 protein on the surface of cancer cells & prevents the epidermal growth factor protein from attaching itself, the epidermal growth factor triggers the chemical reaction within the cancer cell causing it to grow & divide. Fatigue - this can last anything between 6 months - 1 year after treatment, although gradually decreases over time. Flu-like Symptoms - Nausea, sickness, headache, fever & chills may be experienced & are said to subside after a few hours following treatment. These side effects are usually counteracted with further medication. Allergic Reaction - Affects around half of patients, usually reduces across further treatments. Symptoms include fever, chills, skin rash, hives, itching, wheezing, headache, sickness, flushes, faintness, breathlessness & difficulty breathing. Diarrhea - Usually treated with further medication. Affects around 1 in 3 people. Heart Problems - Fast & irregular heart beat & is therefore unsuitable for patients with a history of heart disease or high blood pressure. Pain - Abdominal, chest, joint & muscle pain may be experienced. Reduced White Blood Cell Count - Causes an increased risk of bacterial infection, which in some cases may be life-threatening. Symptoms of infection are headaches, feeling cold and shivery, aching muscles, coughing, sore throat, & possibly pain when passing urine. Lung Problems - Coughing & respiratory distress. Heart Damage - May cause heart damage, affects around 1 in 25 people, or even heart failure. Liver Problems - Usually monitored with regular blood tests. Fertility Problems - Unknown effects on fertility (but still listed). Considering the claims that this drug causes 'little harm to healthy cells,' when you look at the above side effects, this is clearly put into perspective. Anything which produces side effects like this & more commonly according to some reports than widely published, is harmful & damaging to our cells & our long term health. Another strong-point; this drug is only used with or after chemotherapy. Chemotherapy causes significant damage to our body & kills more people than cancer. Surely to use this in the first place is beyond all reason, let alone in conjunction with another drug with such awful side-effects like almost any one of the above! Everyone knows the poor quality of life which results from chemotherapy, especially from repeated treatment, I can only dread to think about the suffering people may endure through a combination of chemotherapy & herceptin. A fair few of the side effects mentioned are treated with 'further medication.' Further discomfort & damage to our body can be the only real result of this, even if initial relief is felt. Medical Industry figures indicate a 50% increase in the survival rate of those using herceptin against breast cancer; unfortunately just more misleading statistics. The true figure is just 12%. Additionally, this drug is currently being tested for its effectiveness against other types of cancer & has actually increased the death rate by 2.5%. We are not looking at any real new concepts in the fight against cancer here, just the same old 'drugs,' upon 'drugs,' upon 'drugs.' The side effects of & potential dangers of all of these new drugs are profound & would appear to be most unpleasant. I personally would never even consider touching them, I won't say "even if my life depended on it," because it never would, my life will always depend on 'my own lifestyle choices,' not drugs prescribed to me by any doctor. When hearing statements about these drugs being set to potentially benefit thousands of cancer patients & you consider that 1 in 4 of the population is directly affected by cancer, this is a lot of people, even if 3-4% of them did benefit from them -this would still be thousands of people! As it is medical statistics but these figures much higher, but again these statistics are in fact flawed in many ways. One example of this is the 40-50% survival rate of chemotherapy patients, what is not always made clear is that this is only over a five year period. If you were to take into account how many people live the rest of their lives completely cancer free & never die of cancer, the treatment, or through any indirect cause from the treatment, this figure is just 3%! This is due to the increased susceptibility to cancer that chemotherapy causes, far more often than not it does return in the future & this time the chances of survival are far less. In this day & age & with the advanced levels of science, is this the best they can come up with? The truth is that there are many scientist whose research is dedicated to the greater good of humanity, but as the medical industry has superior credibility among the vast majority of the population & with their findings being made readily available to us, if not pushed on us, people simply do not hear of or even take notice of alternative research. There are, in reality, many, very real cures for cancer but they are just simply overlooked by most people who put their faith & indeed their lives in the hands of their oncologist alone. Perhaps we should remember that these people, although no doubt they are acting with the best of intention, are trained in 'medical school' on the usage of 'drugs' to treat cancer. They do not have knowledge or experience in natural treatment options & therefore now is surely the time for us to take control of our own fate by educating ourselves on other methods of treatment that are proving successful for hundreds of thousands of people worldwide. There are so many stories written by people who have cured themselves after they were deemed incurable by their medical professionals & some have even recovered after being literally on their death-bed. The main aspect to consider when attempting to cure cancer is that certain lifestyle adjustments need to be made, something was not working for you or you would not have become ill & the thing I am talking primarily about is diet. Changing the diet alone can be enough to reverse many cases of cancer, especially if it is in the early stages & always the best place to start. If you are not prepared to give up foods you like, or are not prepared to give this a try, then the true desire to get well again is not there. This course of action has no painful side effects, only that it can make you feel better & better over time. Certain foods contain nutrients that directly attack cancer cells, others boost the immune system response & also when following a cancer diet you are 'starving' the cancer cells while 'feeding' healthy cells, giving your body the best opportunity of wiping out the cancer. In addition to your diet & for a more aggressive attack on cancer it is a good idea to add cancer fighting supplements to your daily regime. Certain supplements are over 100,000 times stronger in their healing properties as well as cancer fighting ability than chemotherapy. These are the best cancer fighting supplement combo's available at this time. The numbers in brackets equal how many bottles should make one months supply. Vortexia, Creation, Quzu (PrugX, BLA): The first three provide an extremely powerful combination in terms of boosting the immune system response & vibrational frequencies of cells for increased health & healing. Add on PrugX & BLA for the most potent cancer-killing combination of products available on the market today.